(NaturalNews) Americans love their beer. But because of the way beer is currently regulated in the U.S., there is no way to know for sure which ingredients are added to a particular brand unless its manufacturer voluntarily labels them -- and most don't. A recent inquiry into the ingredient contents of several major beer brands has revealed the presence of questionable additives like genetically modified organisms (GMOs) that are nowhere to be found on the labels. 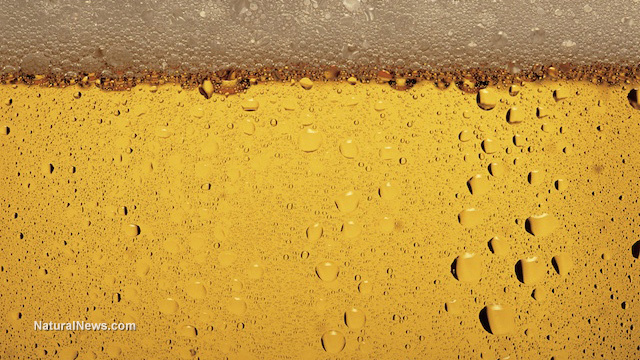 More than just simple water, barley malt, hops and yeast, many of America's favorite beers contain hidden flavor enhancers and preservatives that could pose a health threat. Vani Hari, also known as the "Food Babe," recently sent an email to MillerCoors on June 3 asking about the ingredients in popular Miller and Coors products. She was told that the company's beers contain a mixture of the usual beer ingredients alongside corn syrup, a refined corn derivative that typically comes from GM corn. "Our Beers are essentially a mixture of natural ingredients: Water, Malted Barley, Corn Syrup, Hops, and Yeast," reads the email response from MillerCoors. The letter goes on to explain what each of the ingredients is for, placing specific emphasis on corn syrup as giving beer "a milder and lighter-bodied flavor." Fair enough. Except that the MillerCoors website, along with the company's Facebook page, omit corn syrup altogether as an ingredient. The MillerCoors "Beer Nutrition Facts and Codes" website page only lists water, barley malt, corn, yeast, and hops as ingredients, with no mention anywhere of corn syrup. Why is this important? As you may already know, whole GM corn is currently not allowed to be sold on the consumer market -- only corn derivatives like corn syrup are permitted for commercial sale. Whole corn is also entirely different from corn syrup, which is a highly-refined sugar linked to obesity and heart disease. This mismatch of information between what the MillerCoors website states about the ingredients in its products compared to what a company spokesperson stated in an email to the Food Babe is deeply concerning, as it demonstrates a lack of transparency when it comes to the contents of beer. Though it is consumed like any other food, beer is surprisingly not regulated by the Food and Drug Administration (FDA). Instead, it is regulated by a division of the Department of the Treasury known as the Alcohol and Tobacco Tax and Trade Bureau (TTB), which does not require that the ingredients of beer be disclosed to consumers. Because of this, beer companies can get away with adding all sorts of flavor enhancers, stabilizers, and other chemicals to beer products without beer-drinkers knowing about it. This means that GM corn-derived additives like corn syrup, for instance, are often hiding in beer without proper labeling. "There is a long list of ingredients allowed in beer -- like high fructose corn syrup, artificial flavors, stabilizers that are linked to intestinal inflammation, artificial colors, ingredients found in airplane deicing liquid, genetically modified ingredients, even fish swim bladders," wrote the Food Babe. In the case of MillerCoors, which just so happens to be the beer company that responded first to the Food Babe, this is openly admitted on the company's website -- though in a tricky way. On the same nutrition facts and codes page, MillerCoors admits that water, barley malt, corn, yeast and hops are the "main ingredients" in its beers, which suggests that there are certain non-main ingredients that are being withheld. For more information and breaking news on genetically modified foods, visit GMOs.NaturalNews.com.